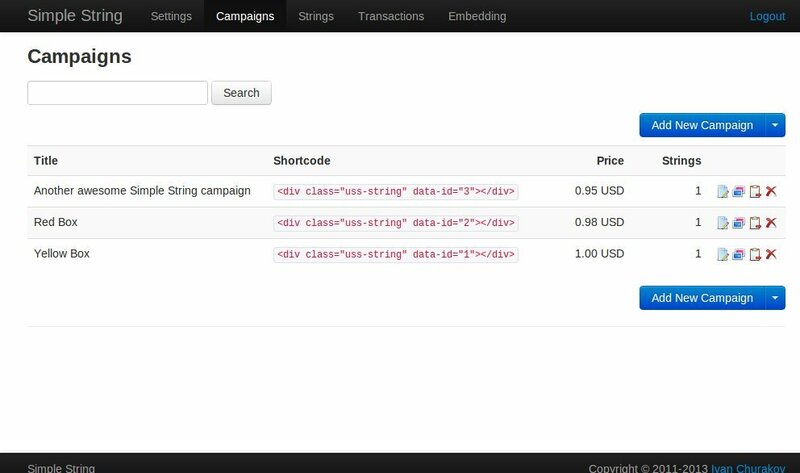 Simple String is a powerful ad string manager for your websites. 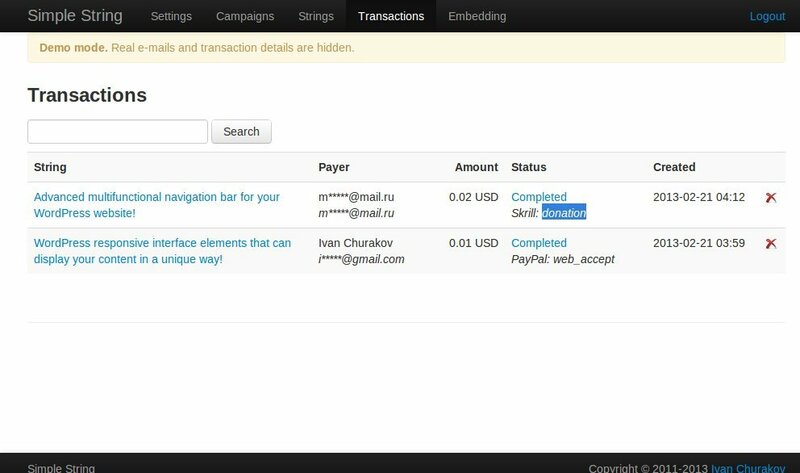 It handles unlimited number of ad strings, allows to sell them directly to advertisers, supports multiple payment gateways (PayPal, Payza/AlertPay, Skrill/Moneybookers, Authorize.Net, InterKassa) and can be easily integrated into any website (no more difficult than insert Facebook Like button, check out steps 5-7 in “Installation” paragraph). 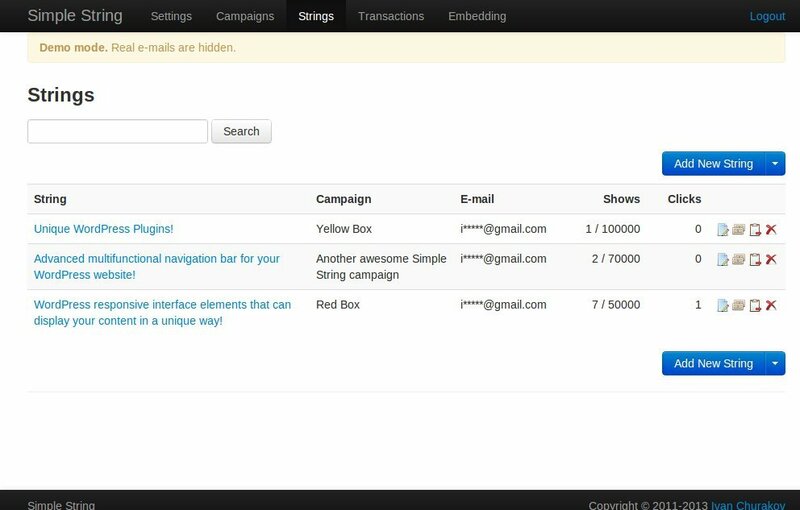 With Simple String you can easily manage all strings, located on all of your websites, from one place. Simple String is the easiest and perfect way handle strings and monitize your website. You don’t have to pay any commission fee to ad networks, because now you can work directly with advertisers. Multiple payment gateways: PayPal, Payza/AlertPay, Skrill/Moneybookers, Authorize.Net, InterKassa. Click “Live Preview” or visit demo website to see how Simple String works. All ad strings on this website are handled by Simple String. Demo page also contains advertiser form, so you can publish your own ad string there. If you have problems regarding using the script, please contact me and I’ll help you.